Your commercial landscape is an investment and weeds and a lack of nutritional landscaping can destroy it! Matteo's Landscaping Company, Inc. provides the full range of fertilization and weed control services to commercial, industrial, governmental and high end residential clients in Weston, Pembroke Pines, Coral Springs, Fort Lauderdale, Plantation, Sunrise, Boca Raton, Delray Beach, Boynton Beach, Sunny Isles, Miami and throughout Broward, West Palm Beach and Miami-Dade counties. The implementation of proper commercial landscape fertilization and weed control programs are essential elements in maintaining healthy and attractive landscapes. Fertilization supplements the natural occurring essential mineral elements in the soil in order to achieve optimum plant growth and in keeping your grounds green, vibrant and lush throughout the year. High quality fertilizers (releasing nitrogen, phosphorus, and potassium) promote lawn and plant growth while targeting unwanted weeds. Site visit and soil analysis to determine nutrition deficiencies and determine what fertilizer is most suitable. Determining current and future weed control needs. Determining the rate and method of fertilizer (additional weed control if necessary) application. Designing a customized cost-effective fertilization and weed control program to best accommodate your needs. By putting your lawn on a proper fertilization program, we help your lawn develop healthy roots and blades. Core Aeration – We suggest adding this to your lawn fertilizing program it helps to reduce soil compaction, thatch build up, and allows nutrients and water to more efficiently reach your lawns root system. The fertilization and weed control staff at Matteo's Landscaping has the required knowledge and more than 20 years’ hands-on experience in designing and implementing proven treatment programs. Our team is committed, knowledgeable, highly trained and able to recommend and perform the most all-inclusive fertilization and weed control services that your commercial property may require. 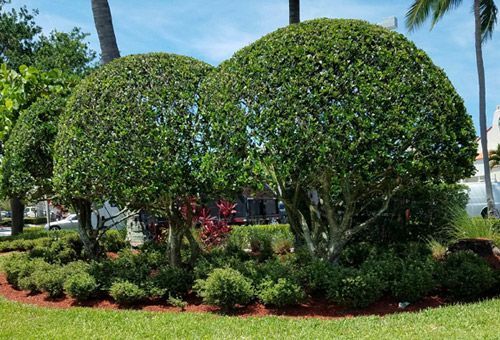 As trusted fertilization and weed contactor in South Florida, we only use the highest quality fertilization and weed control products from reputable manufactures. We guarantee a green, weed-free lawn and property. Contact us today for more information on our fertilization and weed control programs at (954) 444-1008 or complete the Contact Us form - click here.